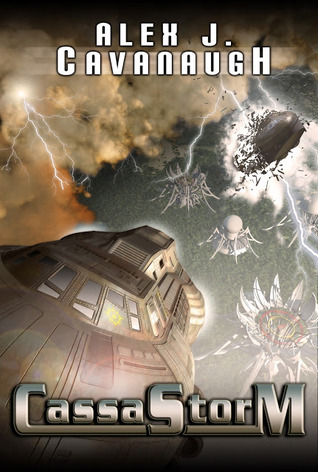 In addition, two lucky commenters this month will receive a review copy of CassaStorm!.One comment per day and each is worth one entry except – the first and one hundredth comments on each day will receive ten entries! Best cinematography ever! With only a tiny budget, Sam Raimi brings the camera to life as if it were a character. Bruce Campbell is brilliant – this is HIS role. The film is a hilarious sendoff of horror conventions. It’s the 80’s version of Cabin in the Woods. Ash is the everyday man thrust into the world of the supernatural, fighting for his life. A sense of humor is definitely needed. Despite the chaos, Ash becomes the stabilizing force. He’s the one that holds it all together. And he makes it look easy. Jay travels for his job, which puts a constraint on his time, and yet he’s still maintained his cool. 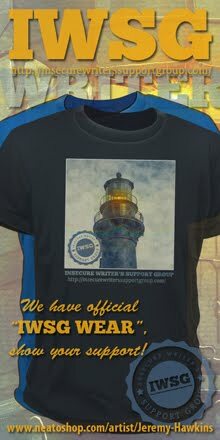 A blogger since 2005, he is the rock in a stormy sea. And he does possess a great sense of humor. Jay is no nonsense in his approach while maintaining his passion. Jay is the author of Dragonfly Warrior, which will be released this year. Because what is about to happen to your life will be completely epic – trust me! Without looking, what is Jay’s theme for the Challenge? How many films of Sam Raimi’s has Bruce Campbell appeared in? D’s trivia answer – Switchfoot won a Grammy for their album Hello Hurricane in the Best Rock Gospel Album category. Ninja News – Movie Style! Roger Ebert died yesterday at age seventy. His blog post on Tuesday stated he would be slowing down and reviewing less due to the return of cancer. His final words were “I’ll see you at the movies.” Critics are usually just that – critics. But Ebert made it an acceptable and honorable profession and he will be missed. Guillermo Del Toro’s Pacific Rim comes out this summer, but he’s already at work on his next movie, due out in 2014 – Crimson Peak. It’s a ghost story and gothic romance, staring Emma Stone, Charlie Hunnam, and Benedict Cumberbatch. Here’s hoping it harkens back to the likes of The Devil’s Backbone! And from Screen Crush - Early Movie Concept Art. What some characters could’ve looked like. For a good laugh, check it out! And since everyone has been talking about it all week – what do you guys think about Amazon buying Goodreads? 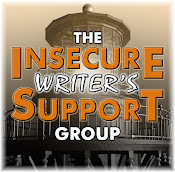 Good for authors and readers or not? Is Amazon gaining too much control of what we read? Will giveaways still be around? Fan of Evil Dead II? Can you quote it line by line? (I can – scary, huh?) Fan of Jay? Remember Faith No More? Know the trivia? Saddened by the loss of Roger Ebert? And how do you feel about Amazon buying Goodreads? could i possibly be #1? Why do I feel a bit of pressure to write something brilliant now? I'm still excited about being first. But I am saddened by Ebert's death. I used to love watching Siskell and Ebert and found their critique to be spot on. I don't know Jay but will now pay a visit. PS Woohoo! I was first! The Evil Dead series rocks! Bruce Campbell as Ash is such a great character (especially in Army of Darkness). It's a shame he didn't get a cameo in the remake (or did he?) and I can't wait for Army of Darkness 2! Fuuuuuck! Robin Rocked the first comment, no fair! It got so we'd check Mr. Ebert's column before going out for the evening to see a film. He was definitely one of a kind. He and Roper were so good together. I don't think I've seen Evil Dead. Now that you've described it as the 80’s version of Cabin in the Woods, I definitely want to check this out! Oops, I did like him with Roper, but I actually meant Siskel. Shish! And trust me, not remembering the sequel to Dragonheart is a very good thing. I only remember bits of it and that is painful enough. O.k, I remember seeing "Evil Dead" and thinking..."What a piece of garbage!". Then, I saw "Army of Darkness" and almost walked out of the theater. -Then-...after I 'got it', I went back and rewatched them....loving both of them and almost everything else Raimi and Campbell has ever done. Sad to hear about Roger Ebert, as well. Nit seeing the movie I can't tell whether Josh looks the character but you're a good judge so I will take your word. May be a wee bit behind as I am having my shots today and the treatment at the hospital yesterday was painful. Hi Alex - I always respected Ebert's reviews and I'm sure the obituaries will be very informative ..
My initial reaction to Amazon buying Goodreads was shock & worry, mostly that they would alter the way in which readers review & rate books. But they've promised not to change the way GR works & how members use it to exchange info about books. Here's hoping! I'm not enthused about Amazon buying Goodreads, but I'm not a fan of monopolies, and they are shaping up to be one in many facets. I feel very sad to hear about Roger Ebert's passing. I met Jay through a blog hop awhile back and I'm glad to see that you chose to feature him today! RIP Ebert. He was a wonderful man and critic. I'd love to see Evil Dead. I'm going to ignore the movie part of this post altogether and move straight to Amazon. I'm scared of the monopoly they're creating - I mean, where exactly will we be able to go to complain to Amazon!? I thought Goodreads tended to lean more towards Barnes and Noble? Amazon has been trying to get Shelfari up and running for a couple of years, but it just didn't take off like Goodreads. I hope they keep it the same! I'm saddened by Ebert's passing. When I think of movie reviwers, his name was at the top of my list. I only saw Evil Dead but Ash does rock. Congrats Jay on making Alex's list and now my blogroll after checking out your blog. No! Roger's gone? He will be missed. Yoda as a short old elf? Yeah, that concept had to go. Went to the blog and early Chewbacca looked like he had anorexia. Though early concept whiplash did look better than the end product. But the actor did well in the final version. Thanks for showing us this, it gave me some great laughs. Already entered the giveaway and have a great weekend Alex. i would like to say all sam's movies did bruce appear, it's not true... though the one i say to you what is the shortest. 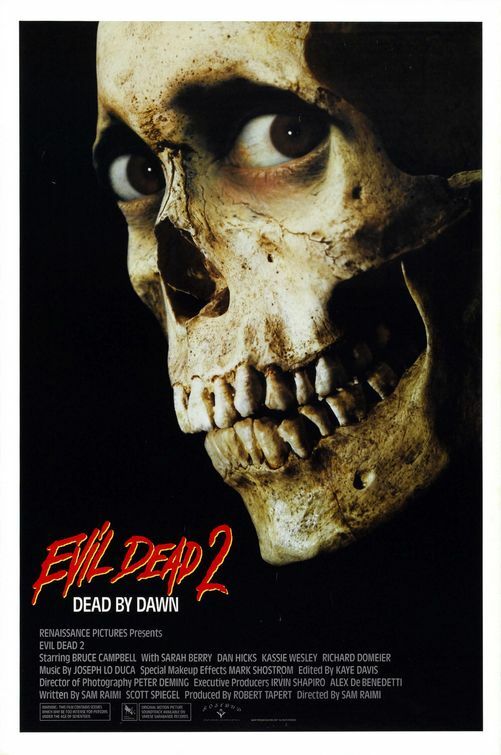 evil dead 2 i owned on vhs and watched twice a week for a year, bought it on dvd. not more than twice in 3 years. i give a sad goodbye to roger, he was from here and his voice will be behind... two thumbs up. Sad news about Roger Ebert. Sam Raimi with a small budget always produces something great. Oh, that early Yoda is horrible! I checked out the article on Screen Crush. Some of them were amazing, and should have happened - like Azazel and Emma Frost in Xmen First Class- and some of them are awful! i am saddened by Ebert's death. I used to love watching Siskell and Ebert. Jack, that does make up for it. Carolyn, I'm sure the Barnes and Noble connection will vanish now. Sheena-kay, Chewy did look odd! Moody, better than the big budgets sometimes. Ugh, that early Yoda is awful. Hi, Jay! He rocks. I love his humor. So sad to hear about Roger Ebert - he was a class act! Hi Alex, I remember friends who were obsessed by this movie way back when :) And on Ebert, I am a Chicago native so this one hits home. I work just a few short blocks from the Siskel Film Center. For some reason, I picture their ghosts happily watching movies in that place. I'm a big fan of Jay's! So sad to hear of Ebert's passing. He was too young. That's a good question about giveaways! I'm sad to see the buyout. I guess time will tell how it affects readers and authors. I've been following Jay's blog and I think his theme is movies. I'm probably one of the few people that think Amazon buying Goodreads is a good thing. At least for authors. There are so many new authors making a living from writing and it's because of Amazon. I was very saddened by Roger Ebert's death. As a movie buff, I always enjoyed reading his reviews prior to seeing a movie. I never saw Evil Dead, but Jay is a great choice! OMG I'm so glad Yoda didn't look like that! Have stopped by Jay's blog a few times. I'm aware of Pacific Rim, thanks to Mike Offutt. Amazon/Goodreads? Haven't stopped long enough to think about what it all means. Not a fan of the Evil Dead movies. But I love Bruce Campbell in Burn Notice. Alex, I am humbled by your post. Thanks so much! As a matter of fact, I do love power tools; however, I did have a little "mishap" involving a chain saw. I still possess my limbs (and any other appendages), but it's best I stay away from such things. I'm so glad they went with the little green Yoda. Otherwise, he'd look like the Travelocity gnome. The conceptual Chewbacca cracks me up. He looked like a swamp monster. Sorry, but I won't be an Evil Dead II fan. Agree it's sad Roger Ebert died. That is quite a theme you've got going-really fun! This is my third year in the A-Z and I am really enjoying it. My writing lags a bit in March (my least favorite month) and this challenge always seems to jump start it again. Thanks for playing co-host...have a great weekend! You're right. Jay is awesome. Whoa. Yoda could've been seriously dorky. Dude, Evil Dead scares the crap out of me. I can't watch that stuff! So sad about Roger Ebert. He was a classy guy- and he will be missed. Didn't know about Amazon buying up Goodreads. Interesting. Not sure how I feel about that yet. I guess we'll see, won't we? Wow, what can I say? 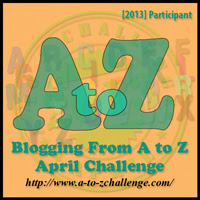 Your posts so far for the A-Z have been... Epic. And this one is no exception. I am sad that Ebert died. I did like his movie reviews. Also, I'm glad they went with the Yoda we know, the other looks too much like an elf. Evil Dead 1 and 2 were outstanding, but I didn't really like 3 when it came out, because it was "SO" campy and wasn't a horror film but a comedy fantasy. Dragonfly Warrior is a very cool title. Good luck to Jay. I hadn't heard that Amazon bought Goodreads. I actually interviewed for a job at Goodreads, but wasn't hired. Now I'm kind of glad. I see Amazon as the Walmart of the internet. Yet, can live without it, at the same time. It does seem rather a monopoly. First, and I did not check but have been following Jay's a to Z, his theme is the 80's and it's pretty cool. Sorry to hear about Roger Ebert. I didn't always agree with him, but I did like his style. Been busy so I didn't know about Amazon/Goodreads and I can't say that I like it. I think maybe Amazon is getting a little bit TOO BIG. Alas, it's how the world goes these days, we are being run by only a few corporations. That should scare everyone. Juliet, they just might be there watching movies. Brinda, you got the answer! Jay, you're welcome! Glad the chainsaw incident wasn't worse. And yes, Yoda would look like a gnome. Not good. Joyce, glad you're enjoying it. Charles, I agree - campy. Ash is the man. And just happened to be on my list yesterday. Love him. I just recently met Jay. Yay for Jay. Roger Ebert surely had his struggle. We will remember him mostly for his critiques and his strength in life. Jay's theme is the 80's. Haven't seen Evil Dead, but Bruce Campbell always cracks me up. Ebert was a good one; always enjoyed how he and Siskel would argue in the old days. Jay with a chainsaw ... yeah I can see that. And ill miss Roger Ebert. Siskell and Ebert, as annoying as they were, were fun to watch and played well off each other. Haven't seen Evil Dead, but Sam Raimi is pretty dang good at what he does! :D And I'm so glad Yoda didn't look like a garden gnome. :D Happy Friday! Evil Dead II is a classic. I'll admit I'd never seen it until I met my husband, who promptly insisted that it was required viewing. My husband is also the one who introduced me to Dream Theater. I owe him a lot for these two things. Very saddened by loss of Roger Ebert. I almost never agreed with his reviews but he was truly great at what he did. I join in the lamenting over Roger Ebert's passing. I am pretty much a wimp when it comes to horror. I can't stomach it, so I can't really credibly comment. But thank you for visiting my blog, and good luck in the A to Z! I was saddened by the news of Roger Ebert. I used to love watching him and Gene Siskel duke it out over movies. Don't know any trivia. Headed over to meet Jay. Love the *new* Yoda. Amazon is turning into the blob. Roger Ebert will be missed. Trivia - Bruce + Sam Raimi - 13 times (?) including the Spiderman movies. Amazon feels a bit big these day . . .
Oh gosh. Yoda, Hagrid, Nyteri.... I'm so happy they decided to go with the new versions! I feel like I have lost a chum with Roger's death. I liked the man I saw behind the words. EVIL DEAD II was fun horror. The new one may be horrific, but then so is the STATE OF THE UNION Address! I wanted Bruce back! You had me at Bruce Campbell. :) I somehow missed Evil Dead but am definitely putting that on my list. LG, listen to your husband - he's a cool dude. Jenn - the blob - funny! Today I know nothing of anything so I guess I'll keep pouting for no Mexico giveaway, hahahahaha. Besides that, I'll wish you a totally spectacular Friday! I think yoda could totally rock a beard. Without it, he reminds me of Kermit. The Goodreads buyout worries me in part because of how Amazon got medieval on authors being able to review books. Lots of my writer friends had hard-won reviews disappear last year. I'm concerned that a similar draconian policy will be applied to Goodreads. Let's hope for the best the amazing concept of Goodreads remains the same. ALmost a week through. Phew.... I am thrilled to say I am still ahead of my posts. Wrote I this morning and plan to do JKL later today. I would be THRILLED to have them written by the end of next week, so I could have at least two weeks to visit new bloggers more. AT this point I am just keeping up with my loyal commenters... Thanks for always being there for me. I just visited Jay, and why can I not remember his theme? I think it's the eighties...? But I've been A to Z-ing all morning that could've been someone else, lol. I was sad about Roger Ebert. Poor guy went through a lot dealing with cancer. I'm still cracking up over Jay's comment on my blog yesterday, lol. The eighties! A number of my animal rights and vegetarian groups on Facebook have been posting Ebert quotes in support of a plant-based diet. I always love finding out someone was a fellow animal-lover. Evil Dead scared the Bejeezus out of my the last time I saw it as a kid. Needless to say, this is one of the reasons I'm not exactly keen on seeing the remake. Laurel, that's a very valid concern!! Michael, you know I'll always visit. Carrie-Anne, I didn't know that. Michael, they say it's even gorier. It's hard to know what the thing with goodreads means. There are so many conflicting ideas floating around. Yoda the Gnome? I just can't see it. As for Amazon buying Goodreads, I don't have a strong feeling about it. I'd love it if they allowed eBook giveaways on GR, though! I've never met Jay, but I will visit him this weekend. So sad about Roger Ebert. I'm from Chicago, and things just won't be the same without this courageous movie critic. I have always wanted your imagination. It's rocks. Makes blessings seem so normal. Amazon's buying Goodreads? Huh. Not sure how I feel about it. I guess time will tell! yippee! but don't go thinking that 'dcrelief' is about hand jobs. I can never be first. I have the west coast deficiency and it's too cold to get up before dawn right now. I loved Siskel and Ebert; they made me want to see films that I ordinarily might have passed up. I really miss both. I'll pop into to become one of Jay's fans and say you sent me. I love Bruce Campbell. May be seeing the remake of Evil Dead tonight. I was possibly shouting out to Faith No More tomorrow!!! Probably still will. After you featured "As I Am" on the first, I mentioned Dream Theater on the third.. I'm not copying you! You just have good tastes in music! Yes, I am a fan of Evil Dead 2. It is great camp. Also, am very saddened by Ebert's passing. AND ZOMGAH ALEX, you mentioned "Pacific Rim" and my blood got a pumpin' again and now I must go watch the trailer for like the 100th time! It was sad about Mr. Ebert. He and Siskel were household names growing up. At least you knew you were always getting their real opinions. I'm going to check out Jay! I love the Evil Dead movies. Bruce Campbell is awesome! So I did what I said i'd do. I joined up with Jay. Thanks for the suggestion. Loved his music today. Not a fan of Evil Dead. Roger Ebert was a wonderful critic, who always found the good with the bad. Have you ever seen "The Dust Factory"? Congrats to Jay! I don't know him, but I'll go introduce myself. And Amazon buying GoodReads? I guess they did it because their Shelfari never took off. With so many people on GoodReads, that gives them an advantage now over the competitors. Evil Dead II was my favorite as well. I got my copy signed by Bruce Campbell when he came to Kent State nearly ten years ago. I was sorry to hear about Roger yesterday. He definitely loved what he did. We can honor him by living our lives with such zeal and passion. I heard about the Amazon/GR's thing, and I noticed Reader already disappeared from Google. I loved and had forgotten them, "Epic" is class. I was sad to hear about Ebert's passing--he did such a great job in what can seem like a cutthroat profession. Evil Dead 2 may be the coolest horror movie ever made. Great mix of fun and fear. I'm eager to see the new Evil Dead, I hear it has Raimi's full support and blessing. The redband trailer was pretty intense, and the general word is that it's good. Not the campy fun of Evil Dead 2, it's going for legitimate scares. I don't like Amazon buying Goodreads. Not so much because of what I think they'll do with them, but because I don't like linking everything with my Amazon account, and I fear it will come to that. It's not that I'm paranoid, I just don't want everything I do on the web linked to my real life accounts. I have not seen Evil Dead II, seems funny, look it! I'm sorry about Roger Ebert. He was a special class of critic. Amazon buying anything that has to do with writing/reading frightens me. I don't like one company having so much influence on what we read. I don't know Jay yet, I'm anxious to check out his blog now. The original Yoda is just awful, especially next to the totally awesome real Yoda. I am probably the only person who does not know what exactly Goodreads is. Oh, I have signed up with them because I've entered stuff, but am really clueless. I hate scary films. They scare me! R.I.P. Roger Ebert...he will always be remembered for his significant contribution !! As for Switchfoot's album Hello Hurricane...it's amazing indeed!! Sandra, that's true - they don't right now. Lee, I've been posting early - stay up late and you might be first. David, we both do = go for it! Rick, they say it's extremely gory. Very saddened by the loss of Roger Ebert. Excellent movie and song choices for a great guy like Jay. I should know the answer to that trivia question, but Bruce was in so many! I've never seen that movie, but now I have to. I'll envision Jay in the role. Too funny! First Shelfari, now Goodreads. I don't really mind Amazon buying them, per se, but it does limit the number of book sites unrelated to companies who actually sell books. Amazon buying Goodreads??? That is just crazy-town. I hope GR doesn't change, cuz I like it just how it is. I haven't seen the original Evil Dead but I've seen trailers for the remake. It looks pretty creepy! omigosh - Yoda could've looked like Stormy the Weather Gnome at Heather M. Gardner's! Trivia-I'm going to make a wild guess that Campbell has been in all of them (at least with a cameo). It was a bummer about Ebert. Helluva thing, continuing on after all his cancer surgery. I like Yoda as he is thank you. Gawd you get so many comments, I don't know how you know who is here. Glad Yoda didn't turn out like that! Oh man, I love everything about this post. Love the movie and the song. Ebert and Siskel can review films in the afterlife. I can totally see Jay with a chainsaw...course it would be all steampunked out. Haven't seen either Evil Dead or Evil Dead II though I do regain traction by saying I love Army of Darkness. Ah yes, Evil Dead. Classic cult, uh, classic. I believe Bruce has been in every single Sam Raimi film, even the Spiderman movies, though only as cameos. If you've never read Bruce Campbell's book "If Chins Could Kill", you should. It's a great look into his life, and the forward is very...interesting. It's by Sam Raimi, sort of, and you get to see Sam in a way most people never do. Congrats to Jay. Yes, saddened by the loss of Roger Ebert. The picture going around facebook touches my heart. It's Sieskel, waiting for him in heaven with a box of popcorn. Carol, that's what I was thinking. Larry, but how many is all? Jo, I know all of my blogger buddies! Just need to become acquainted with the new ones. DL, not necessary, but I heard it was extremely gory. Gabriel, I'll have to read it. I don't think I've seen The Evil Dead I or II. I stopped watching all horror flicks when I left the safety of my parents' home and started living on my own. I'm a chicken. Alex, you must have at least 25 hours in your day! How do you keep up? It's amazing. I was sad to hear about Ebert's death. I'm hoping the Goodreads takeover by Amazon is a good omen. Ebert's movie insights will be sorely missed. That's sad about Roger Ebert. He will definitely be missed. You know I remember Faith No More but I always think that song is Megadeth for some reason. I read about Roger Ebert, he lived a full life with both his thumbs!! I didn't always agree with him or Siskel but they were good fun. They would never have made Yoda look like and elf, would they? I don't think I have an opinion on the Amazon thing. I know I use it a lot to add books to my Kindle but of course I will buy the real copy of YOUR book...unless I win one! Just entered. I just took my son and his friends to the movies tonight to see the remake of Evil Dead. Only one of his friends had seen the original, but they call came out PUMPED about the remake. Apparently it was one of the best horror films any of them had ever seen. I think it's sad that Ebert passed away but, honestly, I rarely read critique reviews. It seems like I never agree with them. Inevitably, if a critic loves a movie, I hate it, so I generally stick with user reviews. Never knew Yoda started out as a garden gnome! Jay is a great choice to feature. A solid and decent guy. And he's doing the 80s! Evil dead is awesome (both older versions). I fear the remake. Great E day choice! Have a wonderful and busy time ahead. Great post! And as for Goodreads? I'm not real thrilled about it. I worry about plugging selling books as the #1 thing over reader reviews. I haven't seen Evil Dead - I'll add it to the list! Evil Dead, Evil Dead II and Army of Darkness will always some of my favorite movies! This is my boom-stick!! Jay is wonderful and truly amazing. I just love his blog and his outlook. He is definitely an Ash. I cannot wait for Pacific Rim and yay for another project with Charlie Hunnam, who has become one of my favorite actors. 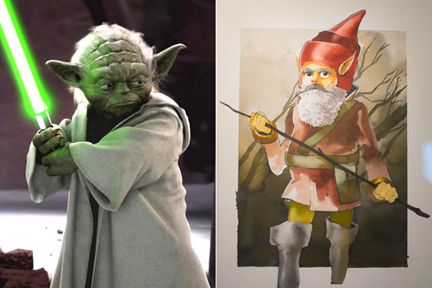 I can't picture Yoda looking any other way, but I have seen concept art of his character before. Weird! I remember crapping myself (not literally? )the first time I saw the Evil Dead. And FNM's "Epic" is in my all time top 20, a fantastic tune!!! Epic is...well, epic. I'm looking forward to seeing the remake of The evil Dead...but like usual nowadays, I'll probably have to wait for it to come on video...but it looks absolutely evil. Haha. Jay does a great job. And Evil Dead II is one if my favorite horror flicks. Never watched Evil Dead. I liked Roger Ebert's honesty. Made it back to Colorado just ahead of the snow and will now be trying to catch up on my A to Z blog hopping. I'm okay with Amazon buying Goodreads. It seems like a good business decision to me.